NARHA is conducting a nationwide search for a Programs and Education Manager. The position is located in the national office in Denver. Relocation is negotiable. Click here for the full job description. Applications will be accepted through March 31. Please email your cover letter and resume to the attention of Jama Rice. The NARHA Driving Certification Subcommittee seeks enthusiastic new members to join the committee. 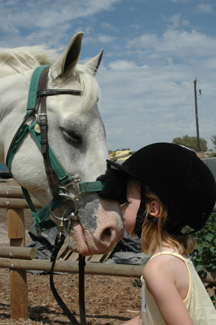 Applicants should have a strong interest in therapeutic riding and driving and a desire to continue the development of and improve the NARHA Driving Instructor Certification Process. Click here to download information. NARHA is sad to bid farewell to two national office employees. Programs and Projects Coordinator Sandy Artichoker is re-entering the dental field and Program Representative Kelly Sullivan is going to graduate school for social work. We thank them for their time at and service to NARHA and wish them well in the future! Rein Them In and Win a Two Night Spa Package! We at NARHA know our current members are the best possible source for new members who could benefit from all NARHA has to offer. With our special Member-Get-A-Member drive, we've made referring colleagues to NARHA easier than ever! Forward an application to them or direct them to Join Now to download an application. Or direct them to the NARHA store to join online. Ask your friend to enter your name in the "referred by" space. Then tell another friend... and another... and another to win prizes. We'd like to thank you for your efforts with some nifty prizes for all members recruited by June 30, 2011. Every time you recruit a new member, you strengthen NARHA. 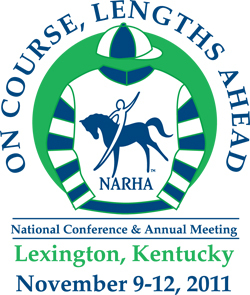 A vital and growing NARHA means greater recognition of safety and ethical practices in the equine-assisted activities and therapies industry, improved education resources and networking opportunities for all members, and the advancement of professional standards worldwide. Click here to learn program details! 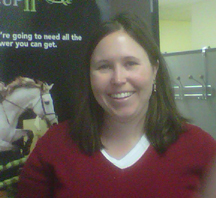 This week NARHA welcomes its newest staff member, Megan Ream, as Sponsorship/Development Manager. Megan's primary responsibilities include increasing sponsorship dollars and growing NARHA's outreach to its individual members and donors. With over five years experience in nonprofit fundraising, most of which is in the outdoor recreation and conservation field, she looks forward to transferring her knowledge of how to fund raise for NARHA. Megan enjoys spending time with her fiancé, Stu, doing just about anything outdoors, including hiking, biking, snowshoeing, skiing and playing with her dog, Bella. If you have any questions on how to support changing and enriching lives through the promotion of equine-assisted activities and therapies, contact her anytime at mream@narha.org or (303) 452-1212, ext. 107. The deadline is quickly approaching to get your application in for the driving workshop and certification event in Longview, Texas, at Wind Ridge Therapeutic Equestrian Center April 26-29. If you plan to attend, please send your application and payment to the center as soon as possible. If you do not get your applications to the center, the center will not know you have interest in attending and the event will have to be canceled. If you are interested in attending, send in your application and fees now! Win a Free Conference Registration in NARHA's Photo and Video Contest! Enter the Free NARHA 2011 Photo and Video Contest and get the chance to win a free registration for the 2011 NARHA National Conference and Annual Meeting or other prizes. NARHA always needs good photos for NARHA publications, marketing projects and the website. Set your digital camera at its highest resolution and take your best active photos of your center's riders, equines, volunteers and instructors. Show us your center's driving, interactive vaulting, group activities, teamwork and more! Click here for details on how to enter. Deadline is June 30. Every year riders, instructors, volunteers and equines invest time and energy in continuously developing in the Equine-Assisted Activities and Therapies industry. So many people and equines spend hours in the sun and cold weather, in dusty barns and arenas to participate in this wonderful industry. The dedication of all these individuals and equines is outstanding, and NARHA would like to take this opportunity to honor those people with our 2011 awards program. Visit the NARHA website and download the 2011 criteria and nomination forms for our Volunteer, Equine, Instructor, Adult Equestrian, Independent Adult Equestrian, Youth Equestrian, Child Equestrian, Sis Gould, NARHA Horses for Heroes, EFL/EFP professional or James Brady awards to help us honor all those dedicated to this amazing industry. Please read all criteria for each award carefully and be sure you submit a complete application for the award of your choice. Some guidelines for 2011 have changed, so please review the criteria carefully! Incomplete applications will not be reviewed. Award nominations are due by May 16, 2011. Please have them postmarked by this date or submitted via email by May 16, 2011. Late or incomplete nominations will not be accepted. email Tara. Please do not send your nomination to both places; submit your nomination to one place only. Please note nominators will not receive a letter regarding the results of their submission until August, 2011. At the national conference in November 2010, the NARHA Equine Specialist Certification Sub-Committee and the NARHA staff announced the launch of the exciting Equine Specialist in Mental Health and Learning Certification. A very successful pilot event was held at Bakas Equestrian Center in Tampa, Florida, February 18-21. A special thank you to all who attended and to Bakas for providing such a wonderful facility for us to pilot our event. The Bakas staff was exceptional and provided us with wonderful accommodations! The NARHA office is currently receiving applications from eager individuals ready to receive their certification. Thank you to our members for their patience and excitement in this new program! The Equine Specialist in Mental Health and Learning certification is meant to certify an individual as the horse handler in any un-mounted mental health or learning session. 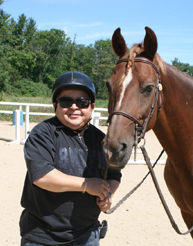 If the session is mounted a NARHA certified instructor will continue to supervise the activity. Equine-Facilitated Learning and Equine-Facilitated Psychotherapy are growing fields in NARHA, and this certification is meant to improve the experience of all involved. Click here for a copy of the certification booklet and complete details on the requirements of the certification. If you are a current NARHA certified instructor and have been participating or plan to participate in an EFP or EFL program, please review the Fast Track certification option on page 29 of the certification booklet. This option allows any current NARHA certified instructor to submit their portfolio to the NARHA office and begin taking the online exams for the Equine Specialist in Mental Health and Learning certification. The on-site 3-day workshop and 1-day practical skills test is not required for those taking advantage of the Fast Track certification. The deadline to apply for the Fast Track option is June 30, 2011. So do not delay if you wish to take advantage of this option! This option is only available for current NARHA certified instructors, other qualifications do not apply and all other certification candidates must attend the on-site workshop and skills test. Call the NARHA office at (800) 369-RIDE (7433) with questions. We know horses always need unlimited access to clean, fresh water. On average, a horse will consume 12-20 gallons per day, depending on weather and workload. However, are we aware of their drinking habits? Most horses will seek out water after grazing and/or eating grain or hay. In many programs horses are taken out of the field or paddock and brought directly to the cross ties or hitching rail. At that point it may be several hours before they will be returned to any water source. Please be mindful where he is in his daily cycle when you go out to get a horse for work. Have you seen him just take a drink? Did he recently finish a meal? Did you just take him away from his pile of hay? To help ensure his good health just stop by his water source for a moment to see if he is interested. If you are paying attention, the horse will generally "tell" you that he is interested in water as you are passing by it. Some horses will speak very quietly, so be mindful about reading them. Others will boldly pull you in that direction. They are "shouting" to you, so be sure to listen. Then be prepared to practice patience as some (especially those who lack confidence in the herd or are lower down in the pecking order) will need to look around, drop their nose, pick their head up, look around and then settle in for a drink. Others will need to splash for a bit before drinking. Some will take a drink, take a breather and drink again. Placing a large muck bucket just outside the entrance to the barn helps volunteers and barn staff remember to stop there before entering. This works well as horses will generally drink faster from a large bucket. They don't have to worry about others in the herd sneaking up to move them off. You also don't have to wait for an automatic waterer to refill, which can seem like an eternity if you are in a hurry. By putting a watering procedure in place you help ensure the overall health and happiness of your equine partner. Horses and Humans Research Foundation (HHRF) invites proposals to investigate the effects of horses on humans. The Foundation's broad research agenda includes basic research as well as clinical studies that will ultimately impact physical and mental health and the quality of life for participants in equine-assisted activities/therapies. Grants are awarded on a competitive basis, taking into account scientific merit, scientific and clinical significance and relevance to areas designated by the Foundation. Preference will be given to investigators with solid credentials and research experience. The average grant award is $50,000 for up to a one-year period. For information, visit Horses and Humans Research Foundation's website. The application deadline is May 15, 2011. Unless otherwise noted, contact Tara McChesney at (800) 369-7433, ext. 114 for further information. All dates are subject to change. To register for an event, please contact the host site directly.